While Sanders' allies have worried that O'Rourke could eat into the Vermont senator's base of young progressives, Biden may end up being the one with the most to lose among mainline Democrats more concerned with electabilitythan political revolution. O'Rourke might dispute the "centrist" characterization, noting he never backed away from liberal issues while running for Senate last year in Texas against Sen. Ted Cruz. And, as a presidential candidate, he's called capitalism "racist," vocally supported legalizing marijuana and spoken bluntly on immigration. The core of O'Rourke's stump speech is about inclusion, sounding more like Biden, who has been dinged by the left for speaking warmly of Republicans, than Sanders or Sen. Elizabeth Warren, D-Mass., who portray their campaigns as us-versus-them fights against a corrupt political system. 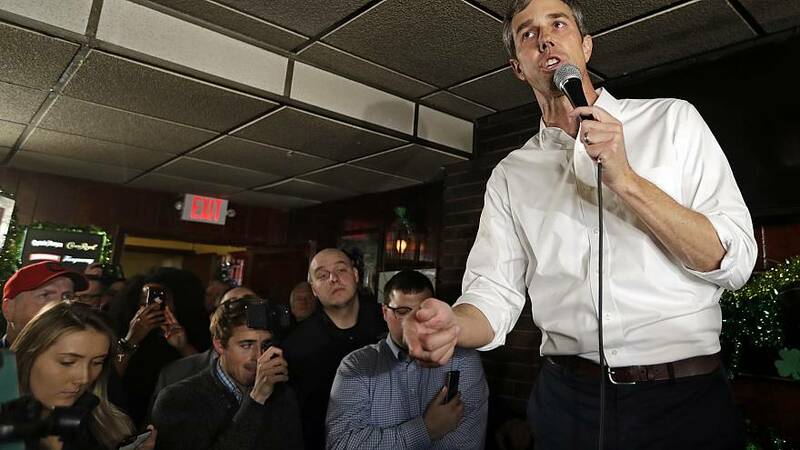 "Let's make sure that before we are Democrats or Republicans, we see each other as Americans and human beings and treat one another accordingly," O'Rourke said in Cleveland, repeating one of his common refrains. "I honestly think it is way too early," said Robert Wolf, the CEO of 32Advisors and a major Democratic donor who advised Obama and has been in touch with both the Biden and O'Rourke camps. "I do think that Beto's launch...from his fundraising intake to his road trip from Iowa to New Hampshire with stops in the 'Blue Wall' states, was quite incredible and you could see the grassroot excitement grow each and every day." Older white voters who turned out to O'Rourke's events in the midwest nearly universally expressed fondness for Biden, but also concerns about the former vice president, even if they weren't fully sold on O'Rourke. "Beto is a blank slate," Quinn continued. "He has intellectual curiosity and authenticity that we're looking for."